Retired football player and brand ambassador, David Beckham touched down to South Africa to launch a whiskey brand. 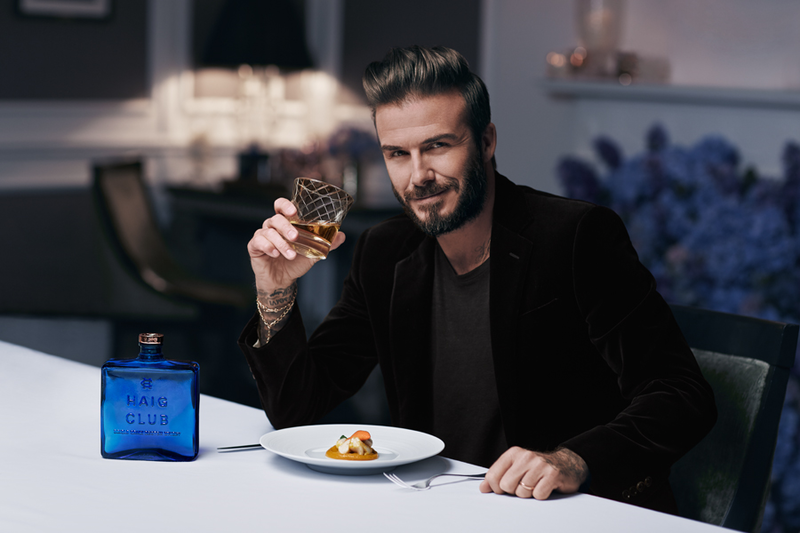 Designed to be different, Haig Club Clubman is a Single Grain Scotch Whisky that has been taking the Scotch world by storm through its innovative, stand-out blue square bottle, partnership with David Beckham and light, smooth taste. With its distinctive Haig blue ‘red’ carpet, the launch event held on the 14th of March, in Sandton, was attended by David Beckham, actor Lungile Radu, and Tshepi Vundla among other esteemed Johannesburg guests. 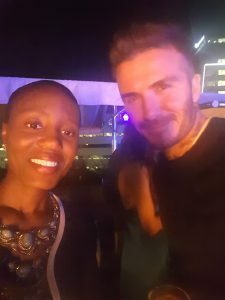 Speaking at the event, Beckham commented: “I am incredibly proud to have been part of the creation of Haig Club and to be working with Diageo in South Africa. It is such an amazing country. Raising a glass of Haig Club Clubman last night with everyone was truly special”. Led by Diageo’s Global Whisky Master Ewan Gunn and the mixology team at Sandton Sundeck, guests were introduced to the versatile whiskey through a series of exciting cocktails made especially for the event. Master Distiller and Blender Chris Clark has applied his over 30 years of experience to create HAIG CLUB Clubman, seeking to make a Scotch Whisky with the perfect combination of distillery character and cask influence. He matured the spirit exclusively in American Oak casks that have previously held Bourbon, and the result is a wonderfully smooth, sweet and enjoyable Scotch Whisky. 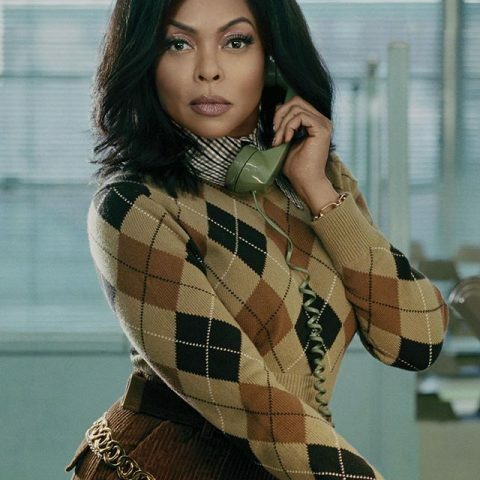 Diageo South Africa will activate a 360-marketing campaign to launch the brand in partnership with David Beckham involving three days of events, tastings and retail activation. The company will run a 30-second TVC entitled “Make your own rules” produced by London ad agency Adam & Eve. Graeme Harlow, Managing Director of Diageo South Africa said: “This is one of the most hotly anticipated launches in recent memory. HAIG CLUB Clubman is a drink that makes complete sense to the market: our consumers are constantly seeking high-quality products and whether it’s entertaining at home or on a night out with friends, people want to enjoy the best. The versatility and style of Clubman fits perfectly into this lifestyle”. HAIG CLUB Clubman will launch nationally across South Africa in March and will be available at fine retailers for a suggested retail price of R299.